Centralized and Decentralized Manufacturing both offer benefits and setbacks—the key is recognizing which model is right for you. Does your company follow a centralized or decentralized organizational model? Is it working for you? Think about it. You may need to change it. Perhaps your company’s long-standing centralized model has outgrown its boundaries for the global marketplace. Maybe your company took an ambitious risk and invested capital to decentralize, but the return on investment is not meeting projections. 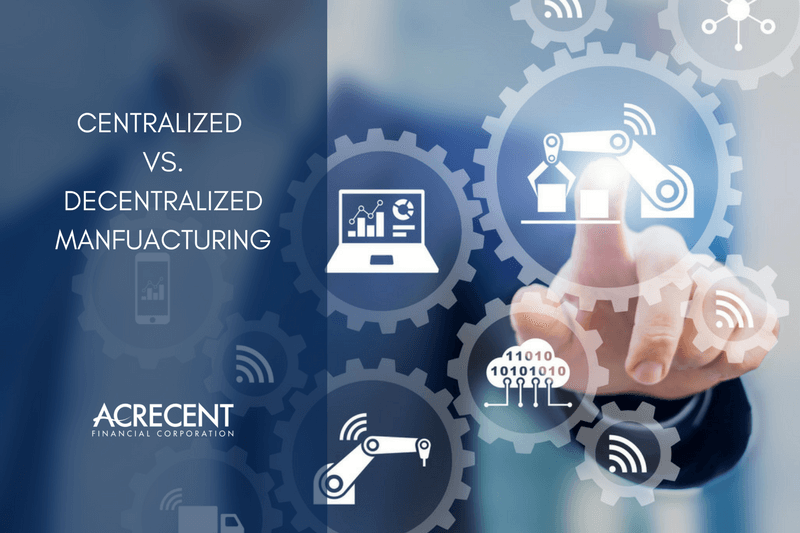 Whether to centralize or decentralize your manufacturing operation depends on your product, industry, manufacturing process, geographical location and business strategies. Each manufacturer is different. So are the advantages and disadvantages of each model. Centralized manufacturers put the decision-making power at the top management level for strategic planning, budgeting, talent deployment and other critical decisions. By contrast, decentralized manufacturers distribute their decision-making power throughout multiple individuals or teams. 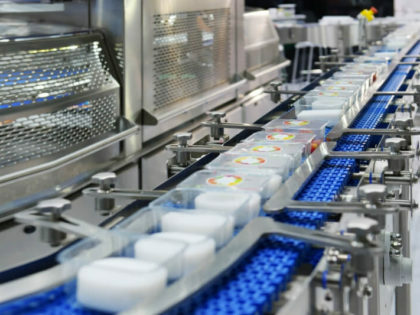 Centralized manufacturers have a single facility to produce and distribute their products or a central factory with multiple distribution points in their supply chain. Centralization has many benefits: cost savings, standardization and sharing of best practices. According to the American Productivity & Quality Center (APQC), controllable manufacturing costs are 10 percent lower at centralized companies compared to decentralized ones. A single factory reduces per unit production costs by using the same equipment to produce different products. APQC research shows that the costs of centralized manufacturers are about 3 percent lower than decentralized companies’ costs. Raw material inventory turn rates and production schedule efficiency is higher in companies with centralized manufacturing. On the downside, the centralized model does have some disadvantages. From an organizational standpoint, centralization can carry risks such as bottlenecks caused by increased layers of approvals and slower decision making. A significant disadvantage of centralized production is the inflexibility to customize. As it follows a more cookie-cutter model, when faced with the need to change a product, the entire system must be retooled. The task to change a product mold to customized production is an extremely costly and time-consuming task. Another disadvantage of centralized manufacturing is the cost of labor if the company’s central plant is in a region or country where wages are increasing. When a company must respond quickly to changing customer needs or meet demand for different products for individual markets, decentralization is a better fit. A decentralized manufacturing operation has multiple facilities that cover large areas. This allows products to be manufactured and distributed close to customers, and can distribute products to customers more quickly. From an organizational advantage, time is on its side. With simplified approvals, decisions can be made more quickly, and plant managers can have more authority to implement more efficient procedures. The information decentralized manufacturers gather usually is more detailed, up-to-date and relevant than those gathered by centralized plants because decentralized manufacturers tend to be more in touch with local or regional consumers. According to a study by Harvard University, decentralized manufacturing increases motivation and creativity as upper management delegates more responsibilities to lower-tier managers, who then gain a sense of ownership over the operation. Decentralized manufacturing also has disadvantages. When it comes to costs or specialized production, it requires a higher capital investment for setting up multiple sites with production lines where per-unit costs are higher. 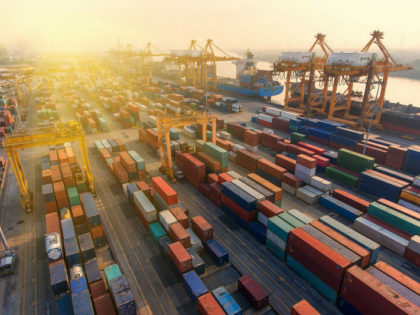 Despite the heftier price tag, current manufacturing trends show more companies are sticking to or converting to a decentralized manufacturing model. They are taking advantage of innovative technologies such as 3D printing, which enables customization at more affordable costs, and Cloud ERP Solutions software, which can integrate multiple department functions throughout a decentralized operation into a single software platform. Current manufacturing trends show more companies are sticking to or converting to a decentralized manufacturing model. So, which is the better model? Does centralization add significant value—10 percent? A decision to centralize requires a “yes” to at least one of the questions. A “no” to all three questions means you should not centralize. The Harvard Business Review gives us some food for thought: manufacturing functions best when its facilities, technology and policies are consistent with valid corporate strategies. 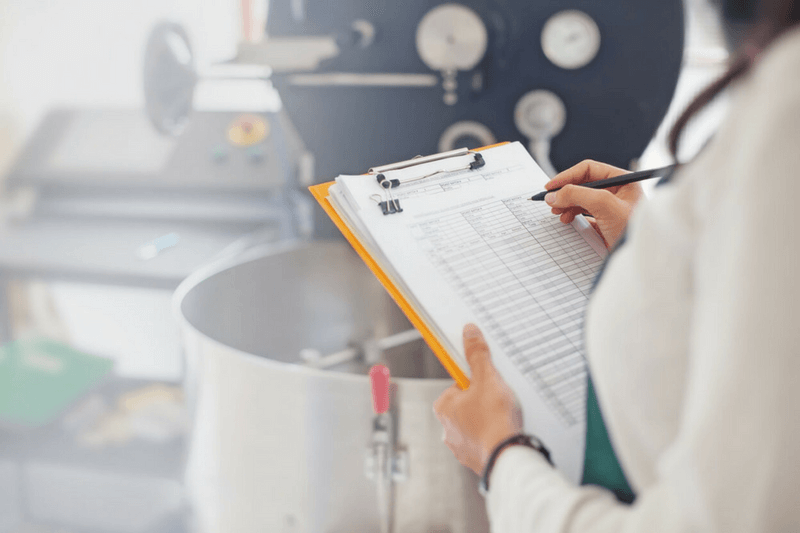 Whether you should centralize or decentralize your manufacturing operation requires careful analysis to determine what is best for your company—whichever lowers your costs and makes your production more efficient. Sources: Goldin Peiser & Peiser, Industry Today.